I can so relate to these words. Knowing God has made a difference in my life. Loving God has changed me so much. Listening to His voice has transformed me. Feeling his presence when I hurt comforts me greatly. He is the rock and anchor of my life. Yes, definitely can relate. Bless you. 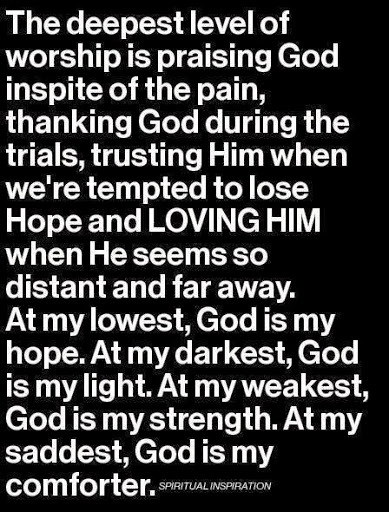 Pain and sorrow bring about the deepest worship for sure. I cling to Him daily. Without Him in my life I could not move forward. I surely can relate. Leaning on him every moment and every day! Thank you all so much for the beautiful comments.